There are many individuals and organizations that would be glad to work with you and your dogs, cats, iguanas, and rabbits. These people range in age, experience, and expertise and can generally be categorized by the following list. Benefits: You pay Johnny $5 to come and walk Sparky. It’s so cheap it’s almost like YOU are making money. Disadvantages: Let’s start off with the obvious. Four years ago he was 9. Five years ago… (ok I’ll stop there). He is dealing with puberty, adolescence, and middle school. There’s always about a 10% chance he will forget to visit your house altogether! Cross your fingers with this one; you might luck out. Benefits: These kids are great choices for many pet owners. They are growing into mature individuals and many of them can totally be totally trusted. They are en route to greatness, and you are working with them at “pre-IPO” prices – before they officially become fully mature, legitimate professionals. Disadvantages: The main disadvantage is that these prospective dog walkers, in many cases, haven’t had the time to learn from experience, mistakes, and other life lessons. Don’t expect to find a policy, insurance, or employee handbook. It’s up to you to access your inner-dog-walking-business-owner and create the policy and procedures for the dog walk. You’ll want to do everything you can to reduce liability. Another thing you may want to consider is the possibility of parties at your house (there’s about a 75.214% it’ll happen #math). Benefits: They can be experienced and trustworthy. They typically get hired due to word of mouth. They might be part-time workers who can work around your schedule. It could be your next door neighbor Henry or a retired mom who simply loves animals! Disadvantages: In many cases, forget about best business practices. Although there are exceptions, many will not hold insurance, be bonded, have policies, properly take care of their self-employment tax filings, and more. They might not have emergency protocols. Typically, they are nice, generous, and loyal people – they just might not realize how much risk they’re asking pet owners to assume. Benefits: Many people swear by these websites to find the care they need for not just their pets, but with care.com, kids too! This website offers their employees background checks to boost your listings and other things that a large corporation like Rover.com would have included like insurance, policy, etc. Also, it’s a cost-effective way (unless you are trying to book the highest rated sitters on their site) to find someone in a pinch. Disadvantages: Unfortunately for these websites, the biggest disadvantage I’ve learned about is that in most cases the dog walker will try to negotiate with the owner to do the dog walking “off the books,” so they make more money and don’t have to give their share to Rover.com or Care.com, for example. This goes from an amazing situation to a risky one and here’s why: when you go “off the books,” say goodbye to insurance, bonding, policies, etc. For those who keep it “on the books” and adhere to their website’s policies, while they have the insurance part down, there is no employee handbook or best practices implemented, created by them, from the ground up. There are policies on these sites that read dozens of pages long and aren’t read by many. Moreover, you’ll have a tough time finding a sitter who is First Aid & CPR Certified. Simply put, they don’t have as much skin in the game to truly understand the perfected way to complete a dog walk. Although many people have found success on these websites, there might be better options out there with more assurances of success. Benefits: You will be working with a company who most likely uses a policy, has insurance, is bonded and may have an awesome reputation. Disadvantages: The IRS is very strict when it comes to identifying someone as an Independent Contractor (IC) compared to a W2 employee. When dog walking business owners work with ICs, legally speaking they are not permitted to train them, have staff meetings, or teach them how to do their job. Are you going to trust your pets with this type of oversight? Depending on the situation you may be willing to work with a company like this, but it simply might not be worth the risk. Benefits: This type of pet sitting and dog walking situation has it all. There is insurance, bonding, and everything else that comes with a legitimate business. Further, these companies take care of their employees by giving them W2 status. They are entitled to workers compensation if hurt on the job, unemployment if they can no longer work, and legally must be paid for everything they do. 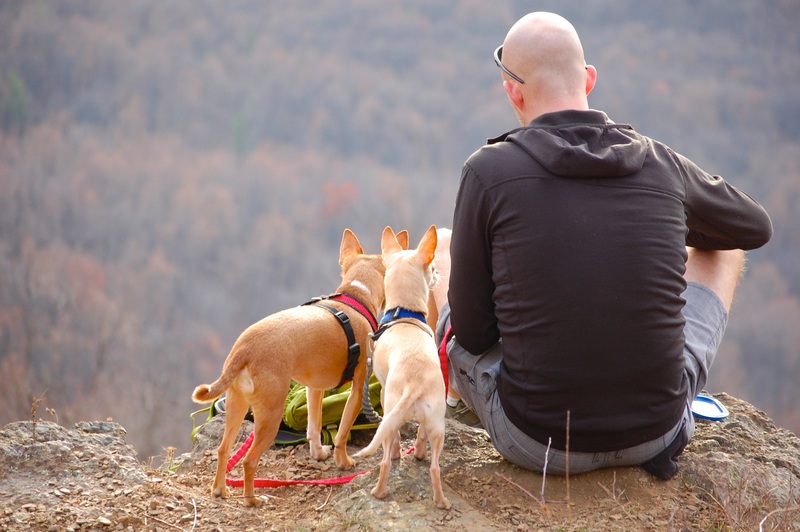 Typically, they will have client and employee policies, as well as employee handbooks to ensure each dog walk goes as planned. The value here is sky high. Disadvantages: Although there are many ways to save with these companies, they aren’t as cheap as the 13-year-old neighbor discussed earlier in this blog post! Become a Dog Trainer in Minutes! Really very useful article. Thanks for sharing. It’s a great piece of a detailed procedure to find out a reliable dog walker. You have mentioned all the viable options for this situation. The dogwalker is a very good choice. I’ll try this option on my next trip, hope my pup will get proper care. Thanks so much for this vital information! Hi, this article really useful for me. I confused for choosing the Dog Walkers information what would be the best for everything. But review this article my confusion has cleared, Its help to my my little baby for accompany and Thanks a lot for sharing this informative page . We are happy to help! Let us know if you have any Qs!